We have used Lime Signs for a few years now and would happily recommend their services. The client’s objective was an identity that would simultaneously convey a feeling of quality motor sport as well as a link to vintage race history of both Goodwood and the original Targa Florio race. We developed the logo from a hand drawn sketch by the client, and implemented this into the stationary design, alongside an illustration that echoes the early Goodwood races. This image was then translated by our resident photo-realism artists into a 16.5 metre mural in the showroom, using spray paint. In order to maintain a consistent corporate identity in the showroom, the new logo was installed using large format digital prints mounted onto laser-cut, polished acrylic. 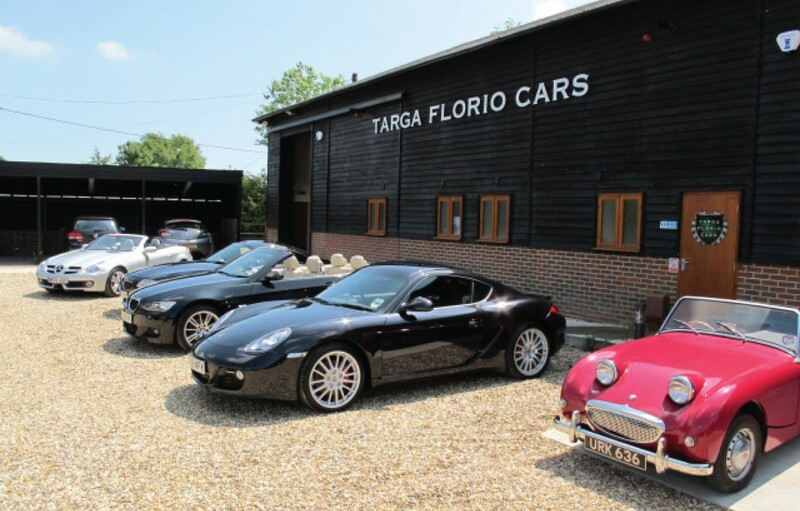 Brushed stainless steel effect lettering, mounted on stand-off fixings displays the URL inside, and the Targa Florio Cars name on the exterior face of the building.